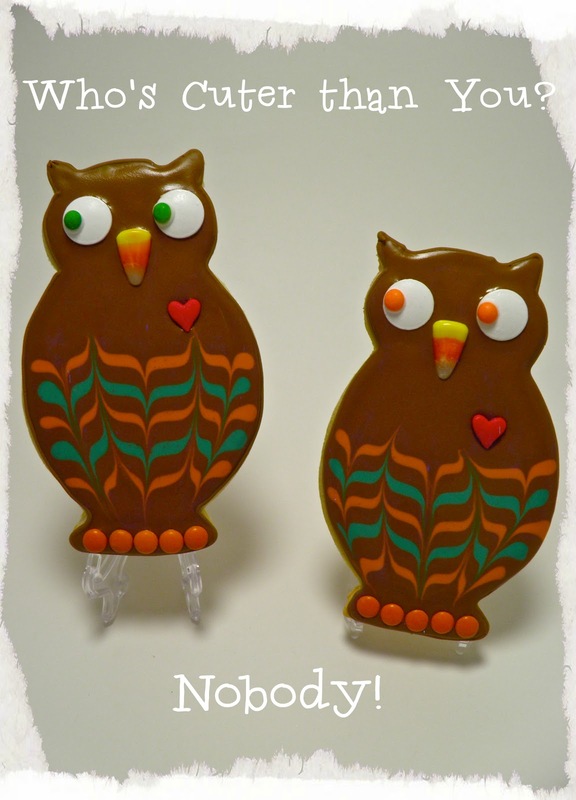 From Captain's Daughter to Army Mom: Autumnal Owls and Halloween Bat Cookies for the road! Autumnal Owls and Halloween Bat Cookies for the road! Can you believe it's already October? would call it off... Here we are, with less than five days to go! Filling the time I should be sleeping with baking busy-work! Because who can sleep? Not me... I'm still going strong on day six! 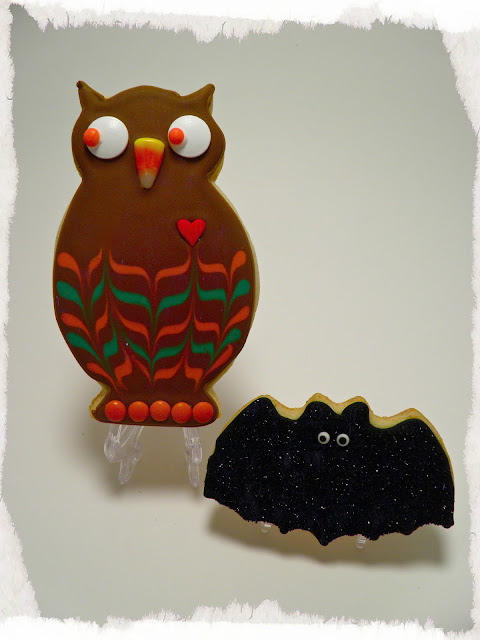 Sunday I finished sorority cookies for a friend and tonight, it's Owls and Bats! 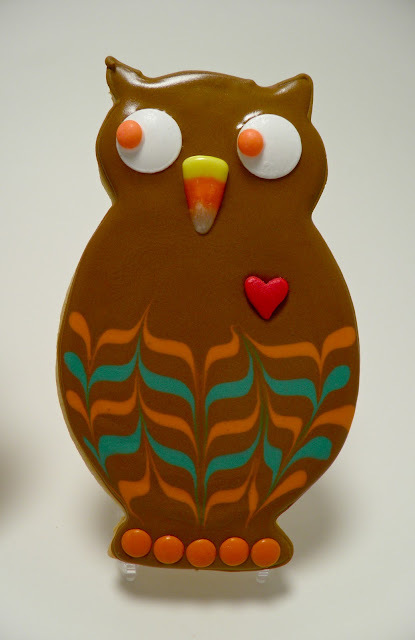 I've wanted to create these owl cookies for the longest time! couldn't wait to add the new Sweet DaniB cookie cutters to my collection! techniques I learned following my friend Bridget's blog! Outlining, flooding and wet-on-wet icing designs! I like it... A lot! Thankful every day for your son and all of our other brave men and women in service. 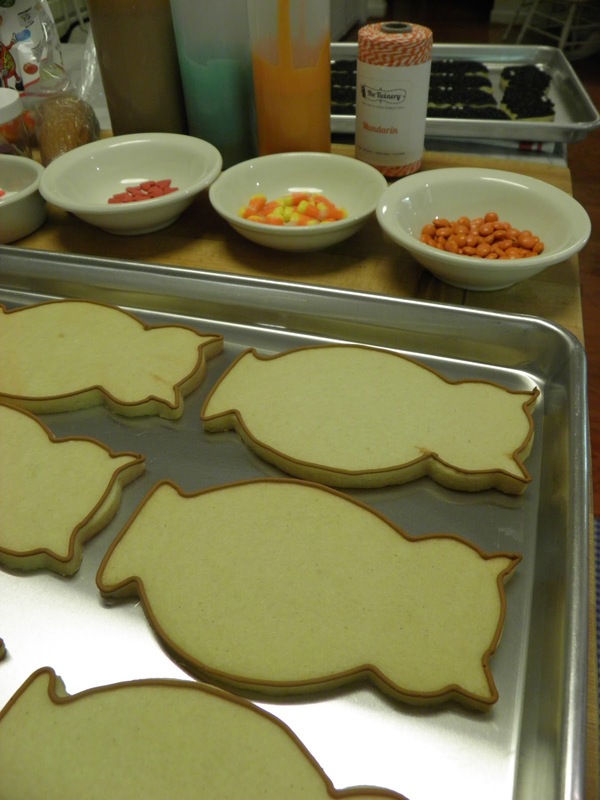 I am going to check out that blog about outlining and flooding because your cookies are always so pretty and mine look like a kindergartener frosted them. 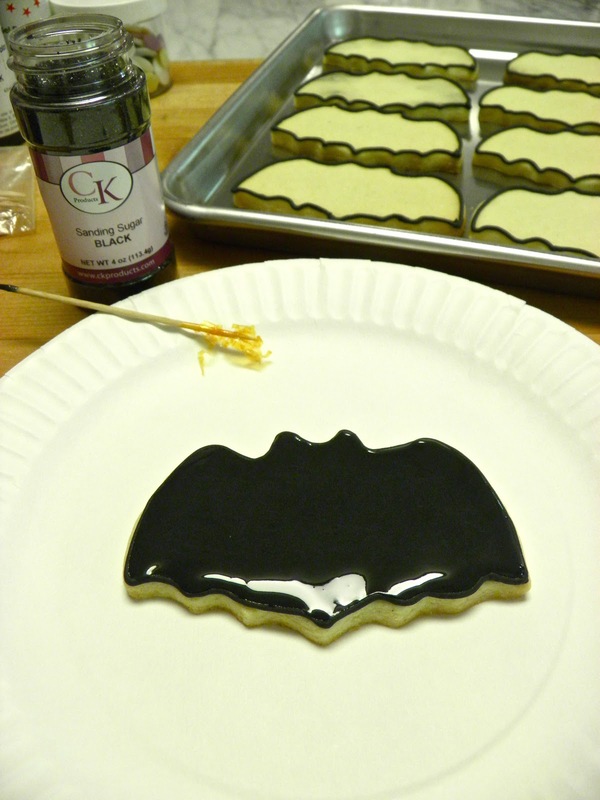 I need to make some for the Habitat ReStore fundraiser in November. I've been looking forward to these, Janet! As usual, you did not disappoint; they're beautiful. Those owls are beautiful! I can never get the flood icing to turn out right. I sure do enjoy seeing your wonderful creations though! And always - all soldiers stay in my prayers each and every day - and special prayers for the ones that I have a face to put with those prayers. Your owls are so, so cute! And I'll be thinking positive thoughts for you and for the Ranger's safe return from the desert. Your owls and bats are perfect, Janet! They will definitely be a special treat for your son to have with him overseas...a bit of home:)I will pray for him, and you too of course! I truly appreciate the sacrifice! I just had a birthday party for my 9 year old yesterday.Everything turned out lovely. The kids loved the Swamp Creature Toes, Candy Corn Pizza and Bandaged Fingers. 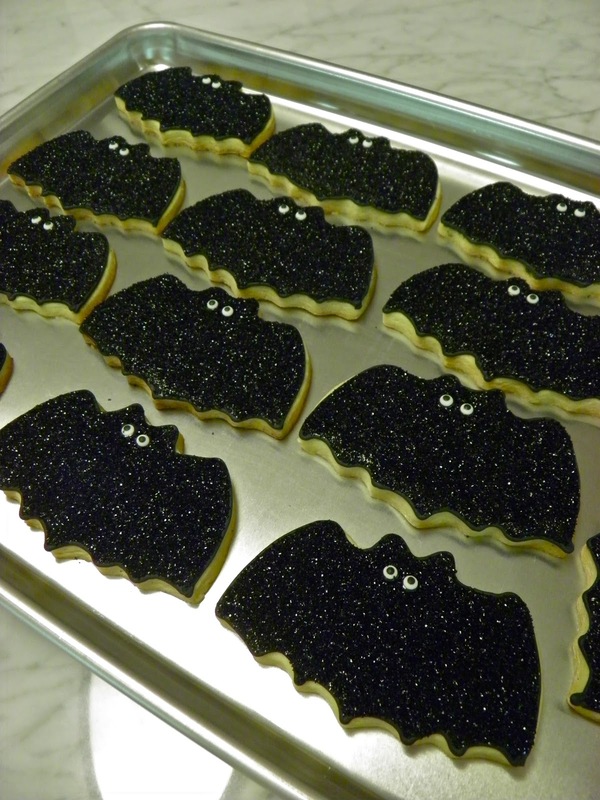 I will definitely give cookies a try on halloween.